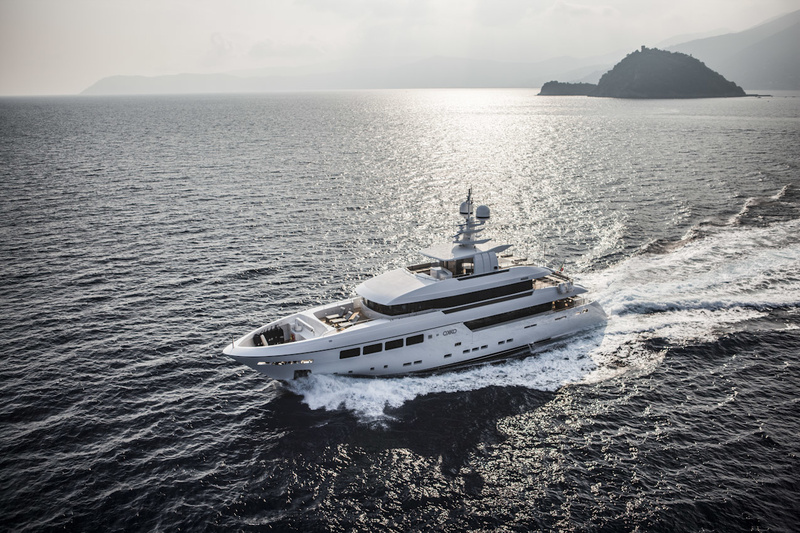 OKKO is a sleek, all-aluminium, semi-displacement superyacht with three impressive decks. 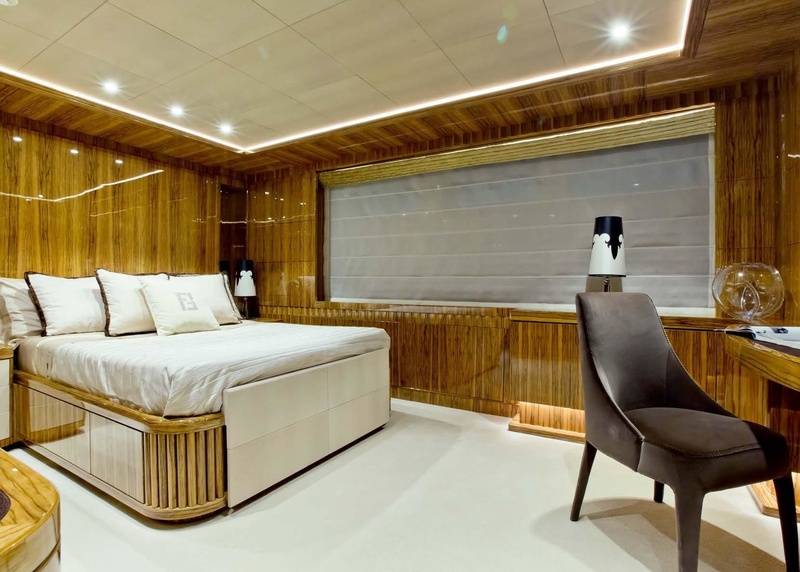 From the shore, her size and styling draw the eye; however, at night, her underwater lighting highlights the simple, sleek and sophisticated superyacht. 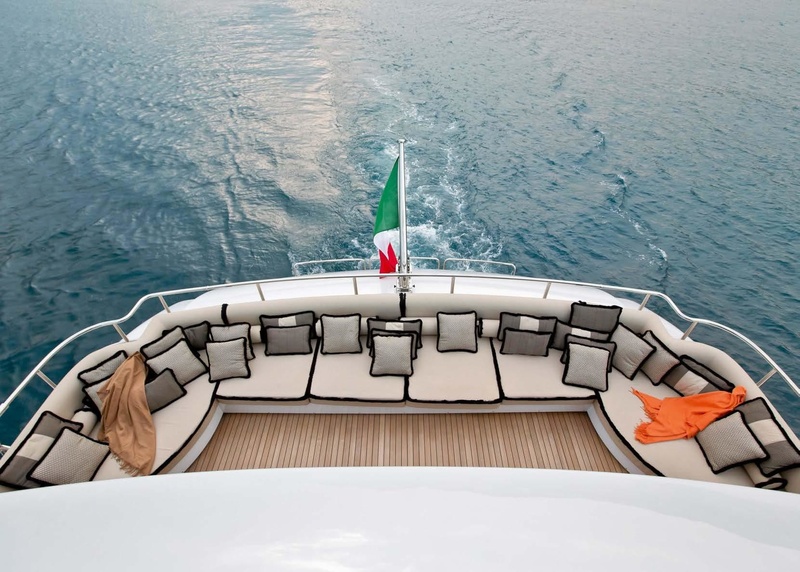 Designed inside and out by Giorgio Vafiadis, OKKO has a detailed exterior with several large outdoor relaxation spaces and a spacious sundeck space built to specification. 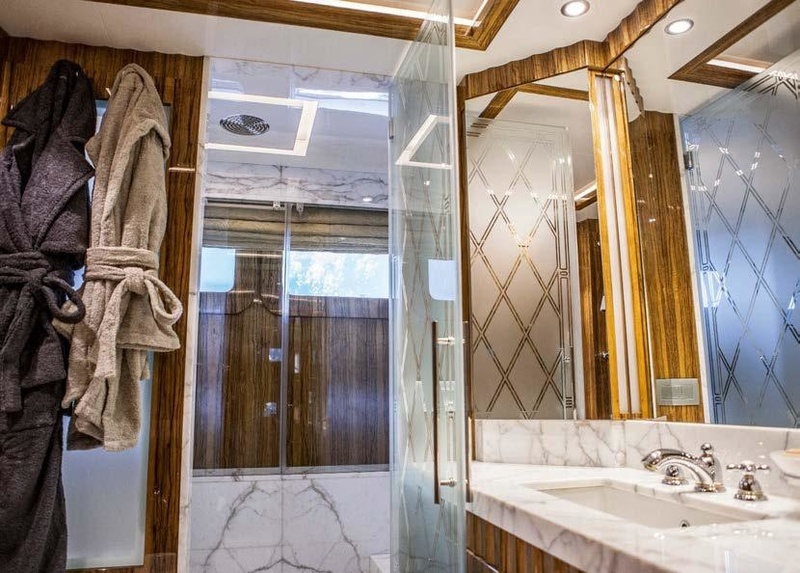 Vafiadis has fused contemporary styling with comfort for the interior, using Glyn Peter Machine furniture, Tai Ping carpentry, along with Fendi and Cavalli extras throughout to create a stylish and relaxed interior space. The use of mixed African Frake wood helps to create a serene environment that is pleasing to the eye and is also durable. 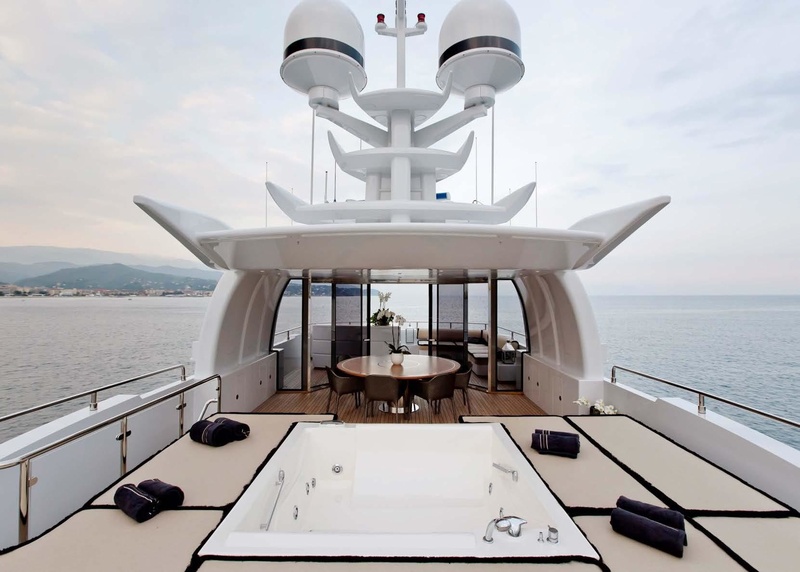 Five generous en-suite cabins provide accommodation for 10 guests. 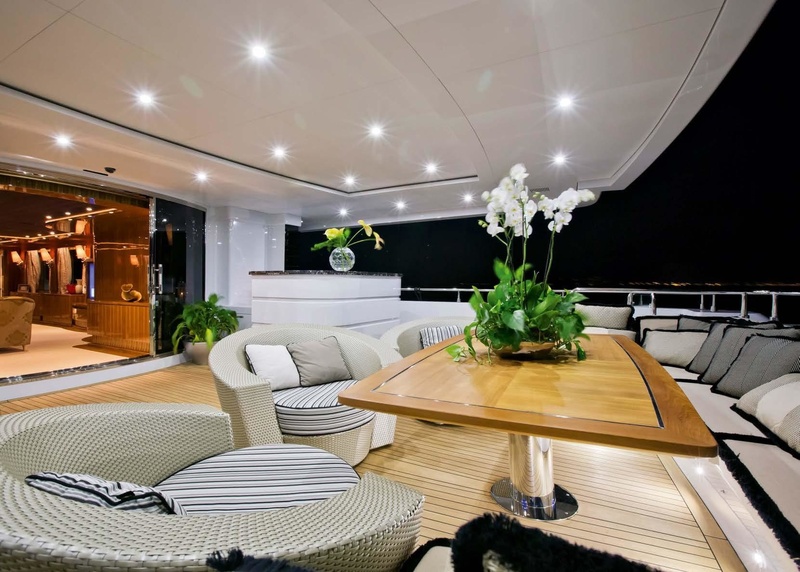 The owner’s suite occupies a generous space forward on the main deck with the en-suite finished in marble and back-lit onyx. 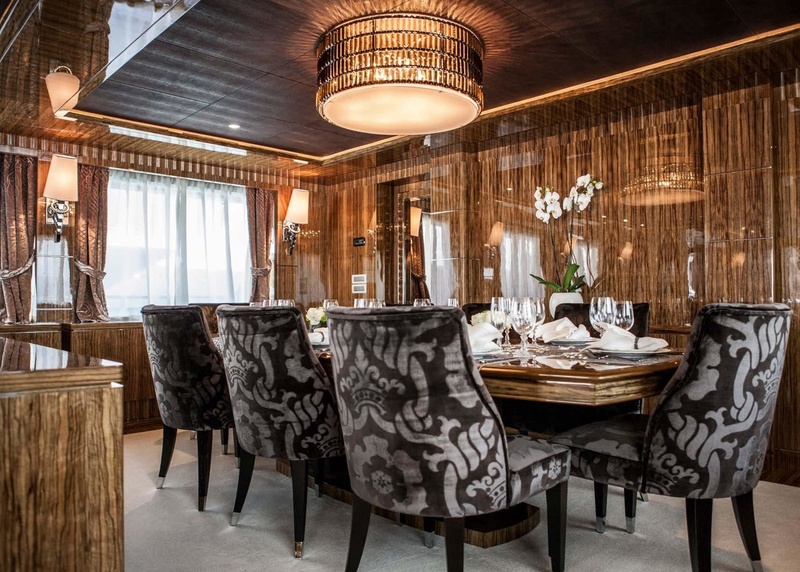 The remaining four guest cabins are situated on the lower deck, comprising two doubles and two twin cabins with Pullman berths. Each cabin has its own Kaleidoscope system offering a wide selection of world cinema from your iPad, and a large selection of A/V amenities. 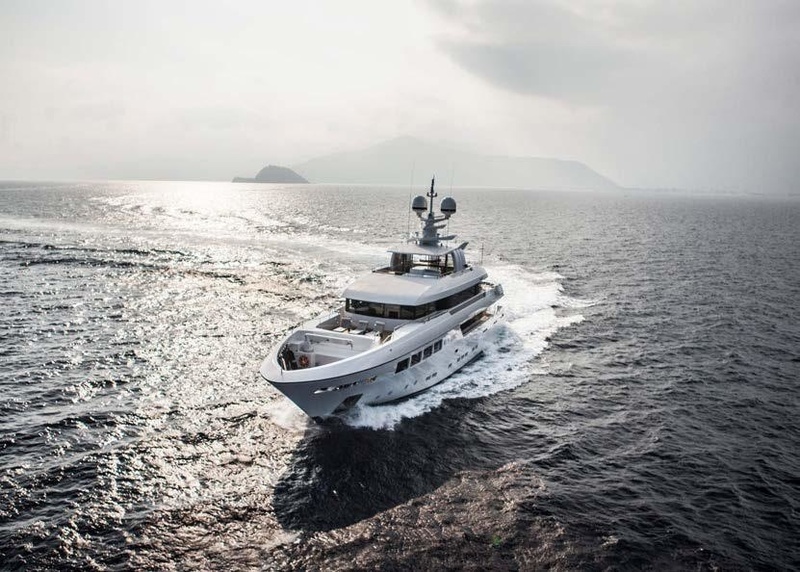 OKKO’s twin MTU M91 engines deliver more than 1,750kW each, and the combination of her engine power with the hull and bow shape ensure smooth sailing and low fuel consumption. With a cruising speed of 14.5 knots, OKKO glides through the water seamlessly and quieter than most thanks to specific vibro-acoustic work that ensure greater acoustic insulation and decreased vibration issues. 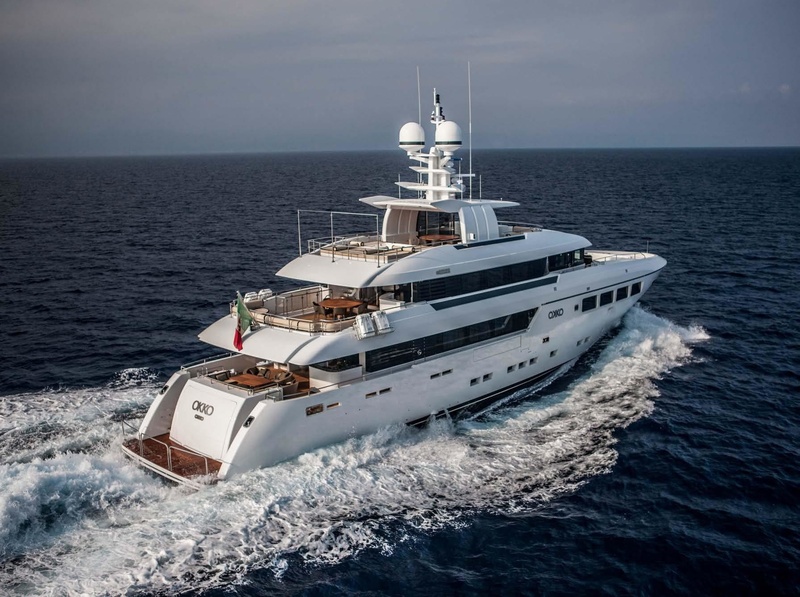 OKKO is available for charter from August 15th from Imperial for summer cruising around the Mediterranean with a charter rate of EUR 150,000/week.